The Crossroad Publishing Company, 9780824524807, 192pp. Demonstrating the principle that soulfulness at work is a way of being and doing, this guide provides new perspectives on the qualities of leadership. Three main sections elaborate on the themes of choosing the path, staying on track, and persevering to the end. 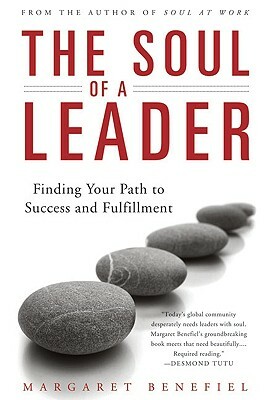 Drawing from interviews with outstanding leaders—including Tom and Kate Chappell, the founders of Tom’s of Maine; Bob Glassman, co-chairman of Wainwright Bank & Trust; Desmond Tutu; and The Edge of rock band U2—and supported with guided questions in each section, this book is an essential addition to the bookshelf of anyone who wants to lead with soul. In an environment where leaders are rewarded for their drive, decisiveness, productivity, and long work hours, the spiritual well-being of a leader may get short shrift, and harm can come to both the leader and the organization this individual serves. Challenging the assumptions that effective leaders must sell their souls, cut corners, cook the books, and let go of their vision, a new model of spiritual leadership is offered. Teachers, parents, committee chair leaders, and other individuals in organizations of any size are exhorted to aim higher and lead with soul in any sphere, large or small. Margaret Benefiel, Ph. D., author of Soul at Work: Spiritual Leadership in Organizations, is an internationally known expert in the filed of spirituality and leadership. CEO of ExecutiveSoul.com, she serves as Chair of the Academy of Management's Management, Spirituality, and Religion Group. Author of numerous articles and co-editor of a previous book, Dr. Benefiel teaches at Andover Newton Theological School in Boston and the Milltown Institute in Dublin, Ireland.